UKTV will present the World Premiere of Make or Break on Wednesday March 19 at 7:30pm. The drama starring Robson Green (Wire in the Blood, Casualty) and Susie Porter (East West 101, RAN: Remote Area Nurse) looks at the tradition of Brits emigrating to Australia. But it also focuses on marital discontent between two couples. Writer Mike Bullen (Tripping Over, Cold Feet, Life Begins) also takes on a directing role for the first time. A story about starting over down under. Statistics show that every three minutes a British national packs their bags and starts a new life overseas. A staggering one out of ten Brits has emigrated, and 1.3 million of those currently reside in their top immigration destination – Australia. Make or Break follows one couple’s move to Sydney, with their own special reasons for leaving the UK. Englishman Neil (Robson Green), upon discovering his wife Kate (Helen Thompson) has had an affair with a fellow teacher at her school, decides to distance himself from the source and relocates his family to Australia for a fresh start. They move in with Kate’s sister Beth (Susie Porter) and her Australian partner Matt (Jack Finsterer) on Sydney’s northern beaches but soon discover that problems don’t necessarily improve with a change of location. Neil finds himself unable to shake the memories of Kate’s deceit and she suggests a somewhat novel solution to wipe the slate clean – he should do the same. Neil should cheat on her – and he has her full permission, support and encouragement! What many married men may think the ultimate reprieve, Neil – hapless, hopeless and completely out of practice – struggles with the search for the woman that will either make or break his marriage. …and he finds he doesn’t have to look as far as he thought…. Make or Break writer and director Mike Bullen is one of the 1.3 million Poms living in Australia, but is quick to comment that the story is not autobiographical! After 2 successful series of Supernova, UKTV and Fox World once again join forces to produce Make or Break. With the pedigree of Mike Bullen in place, it was inevitable that some big names would be attracted to the script and through some lucky twists in timings and schedules, a formidable international cast was assembled. 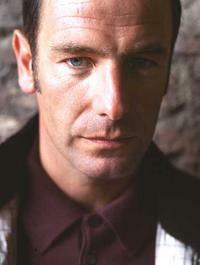 Robson Green is one of the best known faces on British television. He has been associated with some of the most celebrated dramas of recent times including Casualty, Soldier Soldier, Northern Lights and Wire in the Blood. He became a somewhat unsuspecting pop star when in one episode of Soldier Soldier, he and Jerome Flynn sang Unchained Melody. A young but fiercely persuasive Simon Cowell spotted the pair’s potential and released it as a single. Robson and Jerome as they were imaginatively named stayed at Number 1 in the UK Chart for 7 weeks, selling more than a million copies and making it the best-selling single of the year. Subsequently they had two further Number 1 singles and two Number 1 albums. After his rather surreal but lucrative career progression, Robson went back to what he’s most comfortable doing and was recently in Australia promoting Wire in the Blood when he received the call from Mike Bullen. The chance to work with Mike along with the opportunity to extend his stay in the country was just too much to resist and he agreed to play the part of Neil. Multi award winning actress Susie Porter plays the part of his sister in law, Beth. Her role in RAN won her a Best Leading Actress in a Television Drama at the AFI’s in 2006, the same year she had a role in the film The Caterpillar Wish which won her the Best Supporting Actress. The much sought after actress appears in two new Australian series – East West 101 for SBS and East of Everything for ABC – both of which have been confirmed for a second series. Kindly link to this website when sourcing or posting in messageboards, thanks!